Jayne Meyer Tucker is the Volunteer Family Connect Champion and founder of JMTinc, and the former CEO of Good Beginnings Australia. Jayne Mayer Tucker, Tuesday, 18th July 2017 - As the question of volunteer funding remains under the microscope, collaborative and groundbreaking research is underway to assess the impact of a community volunteer home visiting service which supports families of young children, as Jayne Meyer Tucker explains. 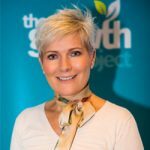 Jayne Mayer Tucker, Wednesday, 11th November 2015 - Mergers in the Not for Profit sector are not all about monetary growth options but more about growth in outcomes, writes Jayne Meyer Tucker, the former CEO of Good Beginnings Australia.